Founded in 2004, Extreme Toronto Sports Club is a not-for-profit organization dedicated to raising the quality of recreational sports while helping our community and providing those less privileged with unencumbered access to sports. Organized sports are a great way to bring like-minded people together to have tons of fun while also getting some great exercise. While most of us are fortunate enough to be able to play the sports we love, many still are not. That's why our goal is to spread the positive power of sports, enabling people of all ages and backgrounds to get out and play their favorite sport. We believe that organized sports provide the perfect outlet for youth and young adults to level the playing field, erode social classes and give kids and adults alike a dream of a better tomorrow. From organizing charity tournaments to free pick up games to donating sports equipment or cash to worthy community causes, we do our bit to help those in need whether they're kids, adults or animals. When registering for XTSC leagues, if you choose to donate your XTSC Reward Points (5% of your purchase, normally used towards discounting your next purchase) to one of our charity partners, XTSC will MATCH your donation to that charity! XTSC Youth Soccer Club provides the Boys and Girls Clubs of Canada up to 200�complimentary�Kids registrations every summer, thus helping to make sure that those less privileged have unencumbered access to sports. XTSC organizes 4 - 5 Charity Soccer Tournaments every year, each dedicated to one of our Charity partners. All net profits from these tournaments are donated directly to the charity. At the end of each year, XTSC donates a significant portion of any profits to our various charity partners. We at XTSC truly believe that giving is WAY better than receiving, and we are especially proud of our members for donating their XTSC Points to our Charity partners. We're looking forward to doing it all again Next Year! We believe fighting for the health and wellbeing of children is one of the most powerful ways to improve society. Right now, quantum advancements in scientific knowledge and technology - made possible by donors like you - present an unprecedented opportunity for SickKids. To be ready for the next round, we need to update our infrastructure so we can unleash the full potential of SickKids expert team. We need to expand our reach, to extend our excellent standards of care to more children around the world. We need to elevate our research - it's our best weapon in the fight against disease and congenital childhood conditions. And we must enrich the compassionate care we believe fosters the lifelong wellbeing of children and their families. It's a massive challenge, but one that has to be met. So we're actively inspiring communities and individuals to take up the fight by investing in our Hospital, its mission, and the health and scientific advances your gifts make possible. For more than 100 years, Boys and Girls Clubs in communities across Canada have been helping young people to discover, develop and achieve their best potential as they grow to become Canada's future adults, citizens and leaders, by engaging them in activities that challenge and help them develop healthy minds and bodies. Boys and Girls Clubs of Canada (BGCC) is a leading provider of quality after school and out-of-school programs to children and youth that support the healthy physical, educational and social development of more than 200,000 young people and their families in Canada each year. We are one of the largest youth-serving agencies in Canada. Our association of over 98 Clubs located in 650 community service locations across Canada are in neighbourhoods where they are most needed including, large city centres, remote rural communities and First Nations Reserves. Nearly three million young Canadians have played, learned and developed essential life skills through our safe, caring Club environments and enriching programs. Each Club location has trained, dedicated staff and volunteers. They provide children and youth, from pre-school to young adulthood, with programs in physical recreation, nutrition, technology, the arts, personal development and more. Many Clubs provide meals, family support programs, emergency shelter and other supports to children, youth and families in need. 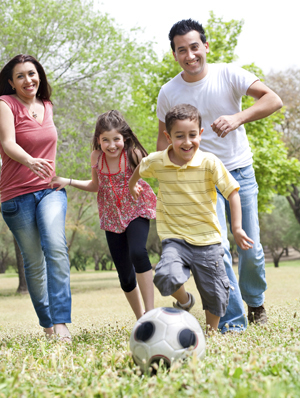 Club fees are affordable and are subsidized or waived for families in need. Clubs are open to all regardless of race, religion, social or economic status. Wherever possible Clubs offer accessible buildings for those who are disabled. Club staff also builds self-esteem in kids by empowering youth to help shape programs and share their ideas. Through these opportunities, youth are given the chance to develop life and leadership skills and to learn how to contribute to Clubs and their communities. 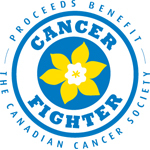 Help us make an impact in the fight against cancer by�supporting the Canadian Cancer Society. Donate your loyalty points to the Canadian Cancer Society and XTSC will match your donation. When you support the Canadian Cancer Society you help fund life-saving research into all types of cancer and provide programs and services to people living with cancer and their families. Thanks to our dedicated supporters, we continue to have more impact, against more cancers, in more communities, than any other cancer charity in Canada. To learn more about the Canadian Cancer Society visit www.cancer.ca. To join XTSC in supporting the Canadian Cancer Society, make a direct donation online at www.cancer.ca/donate. PAWS was established in 1972 by a group of animal lovers who wanted to assist animals in need. We proudly enforce a strict no-kill policy, while providing a unique free-roam shelter where homeless, abandoned and abused animals are given safe haven - indefinitely. We offer exceptional care to the animals in our charge that is second to none. PAWS is the only rescue, of which we are aware, that routinely tests our cats for FIV (Feline Immunodeficiency Virus a.k.a Feline Aids), FeLV (Feline Leukemia) and FIP (Feline Infectious Peritonitis), illnesses which can be life-threatening to other cats. Because we do not want our adopters to endanger their own animal companions we incur this extra expense and effort. If any of our rescues are diagnosed with one of these diseases, we DO NOT euthanize. We arrange suitable housing on an individual basis. Most often, these cats live full, healthy, normal lives. PAWS has never considered any animal 'unadoptable' and we DO NOT give up on those with special needs. We have many wonderful success stories to prove it. PAWS spares no expense to save a life as the special souls who come to us are all individuals. We trust you will enjoy touring our website and learning how PAWS has been going above and beyond for over 35 years. As a registered charity we receive no government funding but rely solely on donations from individuals and organizations. We are always open to work together with other charities that have a low administrative overhead and are committed to helping the community.